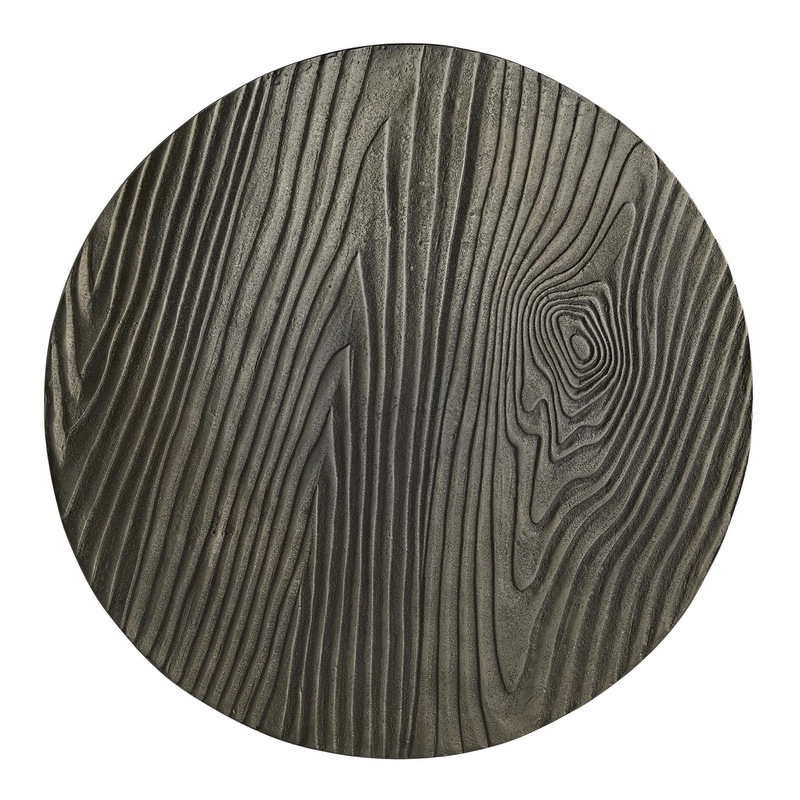 Faux bois at its finest. 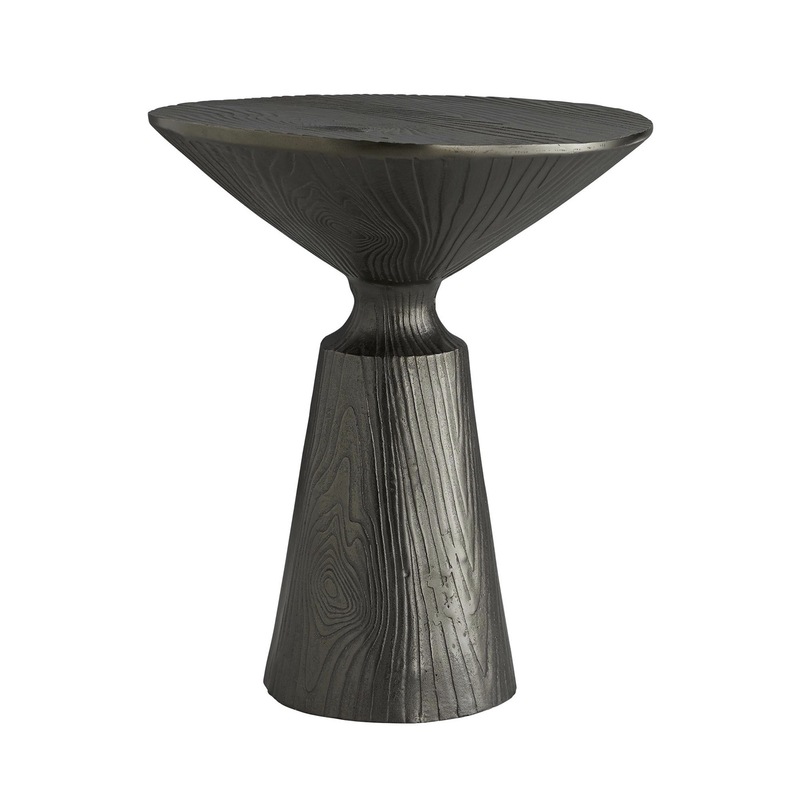 This side table is ideal for any space in need of a little organic sophistication. 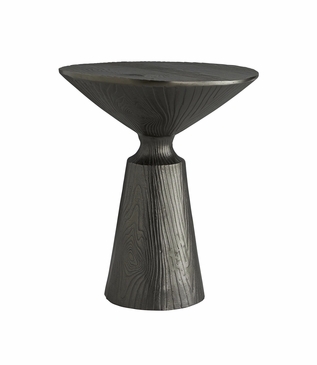 Though cast from hefty aluminum, the molded body features an exaggerated woodgrain pattern that gives it a completely natural feel. 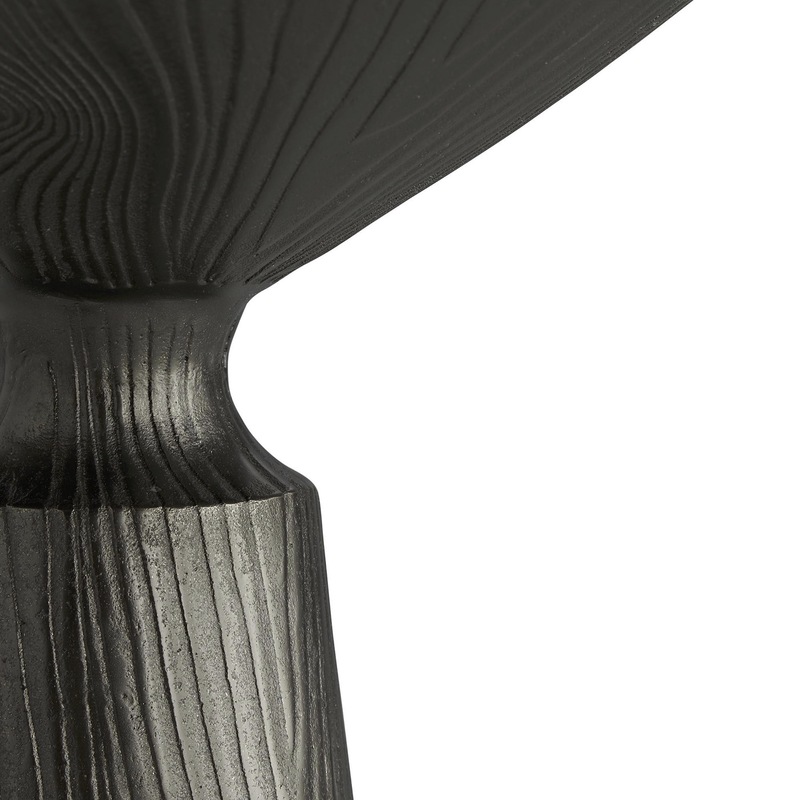 The tapered conical shapes add a playful and modern twist. 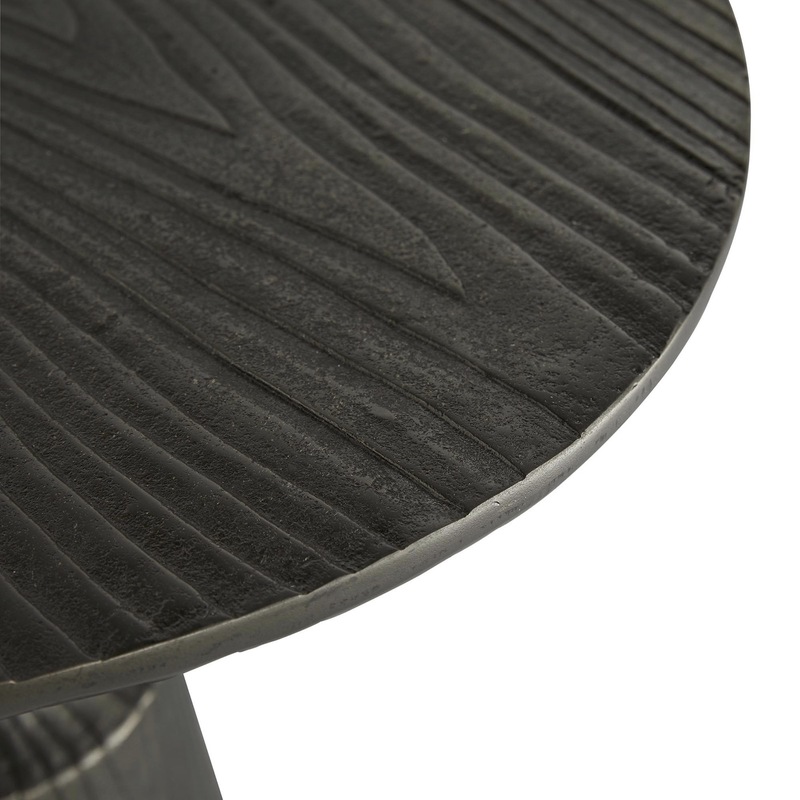 The entire table has a dark graphite finish, completing the luxurious look. 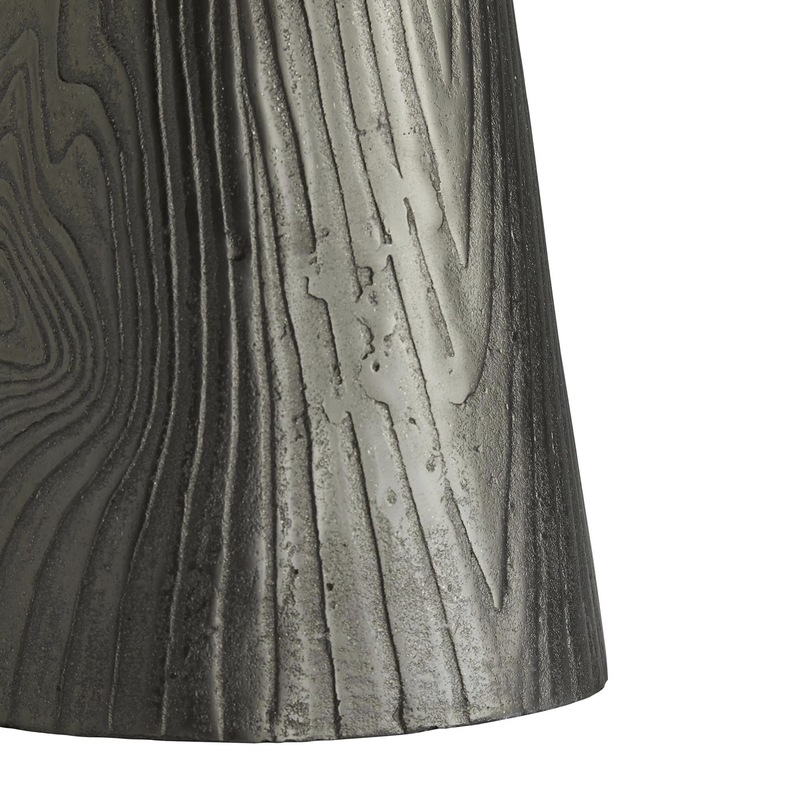 Due to the nature of handcrafted metalwork, minor imperfections and finish variations should be expected and considered part of the piece's inherent character. Size: H: 24.5" • Dia: 21.5"